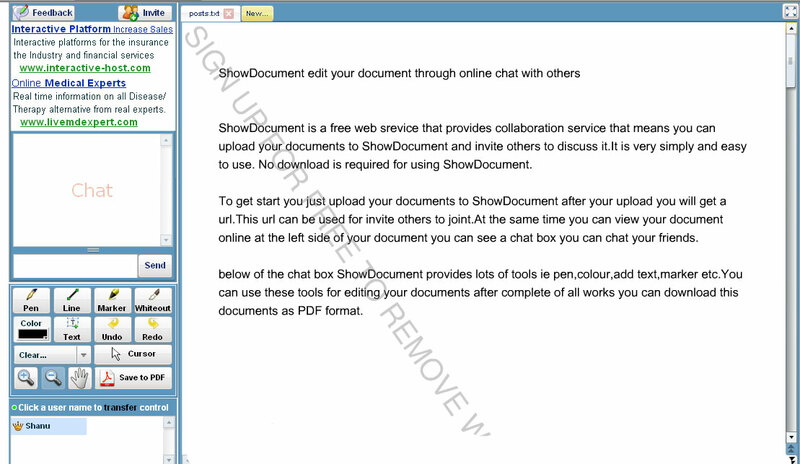 ShowDocument is a free web srevice that provides collaboration service that means you can upload your documents to ShowDocument and invite others to discuss it.It is very simply and easy to use. 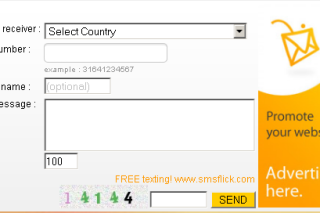 No download is required for using ShowDocument. 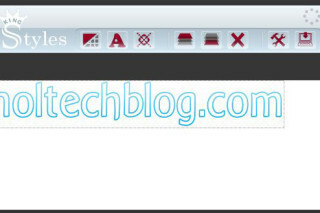 To get start you just upload your documents to ShowDocument after your upload you will get a url. This url can be used for invite others to joint. 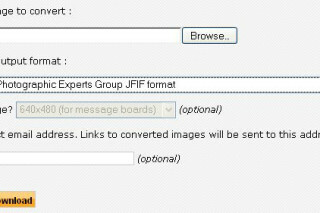 At the same time you can view your document online at the left side of your document you can see a chat box you can chat your friends. Below of the chat box ShowDocument provides lots of tools ie pen, colour , add text, marker etc. You can use these tools for editing your documents after complete of all works you can download this document as PDF format.